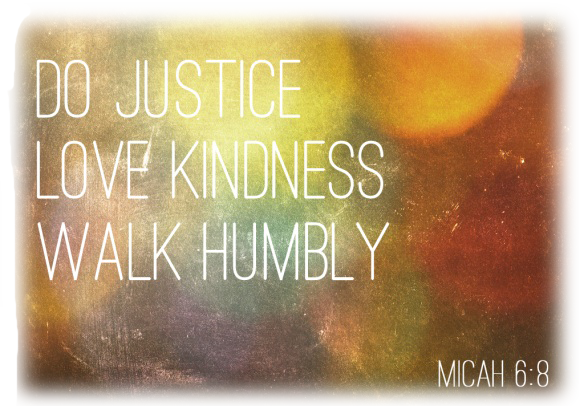 Let’s talk for a bit about humility today. It is a subject which has been on my mind as of late, a topic I’m learning firsthand lessons on right now. You see, on the evening of April 11th I was trying to exit my bed from the foot while holding a glass of iced tea in one hand & my cellphone in the other, lost my balance at the edge, and proceeded to fall heavily on to the hardwood floor. Neither the phone nor my glass broke, but my left shoulder fractured in 2 places at the top of my humerus. I had surgery on the 24th where I received a roughly 6 in. piece of metal & 6 screws in my arm. I have been in a sling since, and am healing well, with a projected date of June 4th for being able to go sling-free. Physical therapy will be required & I won’t be completely back to normal until roughly October. I haven’t done any blogging in some time as I am generally a fast typer & have been slowed down by my injury, having to type one-handed. It’s frustrating, but I am grateful that the injury wasn’t to my dominant right hand. 1. the quality or condition of being humble; modest opinion or estimate of one’s own importance, rank, etc. verb (used with object), humbled, humbling. 7. to destroy the independence, power, or will of. I am going to be honest – I don’t like to ask for help very often. If I think I can do something myself by God I’m going to try and do it. I love DIY projects, I love having independence, I love the feeling I get from knowing I accomplished something on my own. Even as a kid whenever I would get a new toy that came with the notation of “Some Adult Assembly Required” I dismissed the instructions and proceeded to assemble it all on my own, just to prove to myself and others that I could. I hate admitting at work if I’m overwhelmed or stressed, or if I’ve taken on too much in my extracurriculars (like at church) because I don’t want to be viewed as anything less than competent and capable. Having a broken bone snatches all that independence from you in a heartbeat. I cannot drive with one arm immobilized in a bulky sling. Gone are the days of driving myself to work, the library, the store, church, or to visit family – I’m completely reliant on my husband, friends, and family to go anywhere. I can’t lift my arm above my head or bend it behind my back & therefore require my husband’s help (99% of the time depending on the stretch of the material) to get dressed & undressed. I haven’t been able to put my hair up or my contacts in. I must move more slowly and more consciously to avoid discomfort and pain, which means getting ready to go anywhere takes longer than it used to. I’ve been having to sleep on my back. There are so many little things that I used to not think about doing that now requires assistance or forethought before getting them done. While this experience has been and will undoubtedly continue to be filled with moments of frustration, I’ve also experienced a lot of gratitude and humility on this journey of healing. When I’ve had to ask for help when I otherwise wouldn’t, I’ve been met with instance after instance of individuals who are more than willing to assist, who are in fact happy to help me. I’ve received meals, rides, gifts, flowers, prayers, hugs, phone calls, texts, and extra consideration every single day since my accident. I have learned to appreciate my husband and my loved ones more than I ever did before. I have learned that it is okay to ask for help, to say “no”, to say “yes”, and that it isn’t a sign of weakness to accept your limitations. Opening yourself up to receiving kindness & assistance from others doesn’t make you less capable, it makes you more gracious. Being made aware of your physical limitations has a unique way of grounding you (quite literally) and waking you up to the boundaries within your mortal existence. It is, in fact, a humbling experience to realize your own fragility. I am but one small human being on a very large planet. I can make an impact on the world and in the lives of others, as small as I am, this is true. As I gaze outside my window, however, at the chipmunk darting around the back porch, the birds landing and flitting away, at the fallen rain and the sun that shines, I can’t help but think of how all of us are reliant on others: other people, our environment, our infrastructure, etc. in order to succeed. We really do nothing on our own. We are all connected to one another in some way and can help or hinder the other by what we choose to do or not do. We are a community. My shoulder injury has brought that point home for me on a very micro, personal level. I have been overwhelmed with the love that I have experienced throughout this ordeal. To know that I have so many people who sincerely care about my well-being and who want to help me in any way they can, that is a gift unto itself. I intend to continue to cultivate my gratitude and my humble heart to carry with me in the future, to remind myself that physical struggles don’t define your humanity, to try to be as patient with others as they’ve had to be patient with me, and to pass on a piece of the tremendous love I’ve received on to others in whatever way I can. In closing, I present to you a rather poetic and appropriate piece of scripture on the topic of humility, an excerpt that eloquently drives home the same perspective I get when looking at the stars and contemplating just how little we all are when compared to the entirety of the universe, words that inspired me to finally update my blog today. 12 Who has measured the waters in the hollow of his hand and marked off the heavens with a span, enclosed the dust of the earth in a measure, and weighed the mountains in scales and the hills in a balance? 13 Who has directed the spirit of the Lord, or as his counselor has instructed him? 14 Whom did he consult for his enlightenment, and who taught him the path of justice? Who taught him knowledge, and showed him the way of understanding? 15 Even the nations are like a drop from a bucket, and are accounted as dust on the scales; see, he takes up the isles like fine dust. 16 Lebanon would not provide fuel enough, nor are its animals enough for a burnt offering. 17 All the nations are as nothing before him; they are accounted by him as less than nothing and emptiness. 21 Have you not known? Have you not heard? Has it not been told you from the beginning? Have you not understood from the foundations of the earth? 22 It is he who sits above the circle of the earth, and its inhabitants are like grasshoppers; who stretches out the heavens like a curtain, and spreads them like a tent to live in; 23 who brings princes to naught, and makes the rulers of the earth as nothing. 24 Scarcely are they planted, scarcely sown, scarcely has their stem taken root in the earth, when he blows upon them, and they wither, and the tempest carries them off like stubble. 25 To whom then will you compare me, or who is my equal? says the Holy One. 26 Lift up your eyes on high and see: Who created these? He who brings out their host and numbers them, calling them all by name; because he is great in strength, mighty in power, not one is missing. 28 Have you not known? Have you not heard? The Lord is the everlasting God, the Creator of the ends of the earth. He does not faint or grow weary; his understanding is unsearchable. 29 He gives power to the faint, and strengthens the powerless. 30 Even youths will faint and be weary, and the young will fall exhausted, 31 but those who wait for the Lord shall renew their strength, they shall mount up with wings like eagles, they shall run and not be weary, they shall walk and not faint. – Isaiah 40:12 – 17, 21-31.